May 19, 2016 – In the future, when mission needs change for the Global Positioning System (GPS), the U.S. Air Force will be able to respond — thanks to some engineering forethought and the innovative design of Lockheed Martin’s GPS III satellite. Designed with evolution in mind, Lockheed Martin’s GPS III satellites for the Air Force’s next acquisition will be able to offer on-orbit re-programmability so they can be upgraded in space to add new signals or missions, a first for the GPS constellation. The satellite’s modular design will also allow for low risk, easy insertion of new, future technology into the production line – guaranteeing GPS III remains the gold standard for positioning, navigation and timing. Lockheed Martin will demonstrate the value of its flexible GPS III design over the next 26 months, as part of the Air Force’s GPS III Space Vehicles 11+ Production Readiness Feasibility Assessment. On May 5, the Air Force awarded Lockheed Martin a $5 million contract for Phase 1 of this procurement for future GPS III satellites. Lockheed Martin has already made advancements on the Air Force’s future GPS III requirements. In 2013 the company completed a preliminary design review for two key future requirements: the accuracy-boosting Laser Retro-reflector Array and a hosted payload for search and rescue missions. 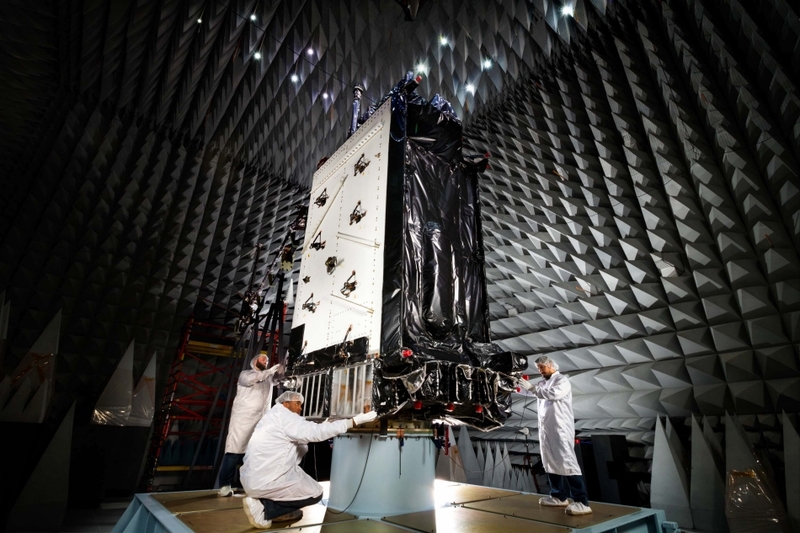 The current GPS III block design is already the most powerful GPS satellite ever built, which enables GPS III’s eight-times anti-jamming capability. For future GPS III satellites, the Air Force is requiring Regional Military Protection, which will allow them to direct even more capability into specific contested and challenging environments. For much of Lockheed Martin’s progress and advanced risk reduction already completed, Stewart credits the Air Force’s previous investment, the Back to Basics program and the use of an innovative satellite prototype known as the GPS III Nonflight Satellite Testbed (GNST). The company used the GNST to already prove its GPS III design was compatible with the next generation ground control system and the existing GPS constellation back in 2013. Lockheed Martin’s GPS III production line is in full swing. In December, the first GPS III satellite completed system-level Thermal Vacuum (TVAC) testing, validating Lockheed Martin’s design and manufacturing processes. Seven more GPS III satellites are following the first one in production flow at Lockheed Martin’s GPS Processing Facility in Denver.